Charles Xavier (James McAvoy) is busy with running his school for mutants and finding misunderstood and mistreated mutants around the world with the help of Raven (Jennifer Lawrence). In the meantime, Erik Lensherr (Michael Fassbender) has decided to disappear into a quiet and very normal life. But when an immortal, very dangerous and most powerful mutant, En Sabah Nur (Oscar Isaac), finds himself returned to consciousness after millennia of sleep, it becomes clear that they can only oppose him together. 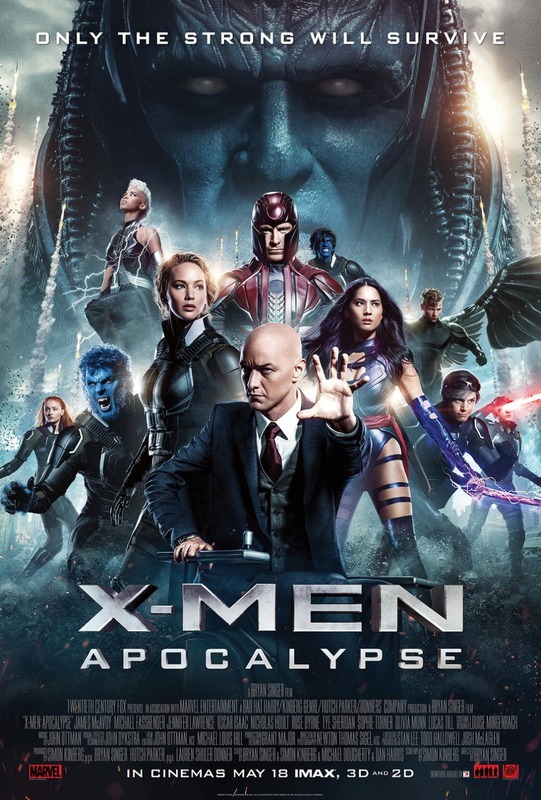 So far, I really enjoyed this generation of X-Men movies and X-Men Apocalypse was a another thoroughly satisfying entry into the series. Especially after my rather lukewarm reaction to Captain America: Civil War, it was nice to get a superhero movie that manages to keep the quality of its predecessors, even if it doesn’t really add anything new to the story.